The FoodMetrics—Lopez lab opened January 15, 1-5 p.m. After intensive discussions and planning, a collaborative effort was formed between Lopez Community Land Trust (LCLT) and BioMedix, a California-based biotechnology company that provides food safety testing systems to food companies and government agencies around the world. The farming community of Lopez Island has a rich and venerable agricultural history that dates back to the 1860’s when the first wave of settlers arrived in the island. By the late 1890’s, Lopez Island emerged as the largest producer of agricultural products in the San Juan Island region. In the last 80 years, the various changes in economic and agricultural models that have taken place in the U.S have reduced the number of working farms on Lopez Island from 134 in the 1930’s to less than 40 at the present time. Despite the difficulties and challenges that the changing times have brought upon this community, the farming culture has managed to survive. With sheer perseverance and unshakable faith, the farmers and food processors of Lopez Island have managed to keep the tradition of sustainable food production fervently alive. Today, Lopezian farmers and food processors face a different kind of challenge. The recent changes in food safety regulations in the U.S. have ushered the need for food producers to periodically generate objective evidence that their food products are not contaminated and are not being manufactured, packaged or stored in a contaminated environment. The most effective method of meeting this requirement is through periodic testing of products and environmental samples. For an island community, this obviously presents a logistical and financial hurdle. As in the past, the island has united as a community to find a viable solution. BioMedix specializes in the establishment of in-house food analysis laboratories in food manufacturing establishments. This model has successfully provided the food industry with the capacity to test its own food products and concomitant environmental swab samples to meet regulatory requirements and/or customer requirements for on-going food safety verification. The concept of FoodMetrics – Lopez Island is a revolutionary departure from BioMedix’s conventional model of establishing an in-house laboratory that will be exclusively utilized by the company that owns it. But to Lopezians, the idea is but a new application of a time-tested island tradition of cooperation and resource sharing. Housed at LCLT’s office, the laboratory has been equipped by BioMedix with state of the art rapid testing systems to be used to perform screening tests for common food-borne pathogens and organisms indicative of unsanitary food production. 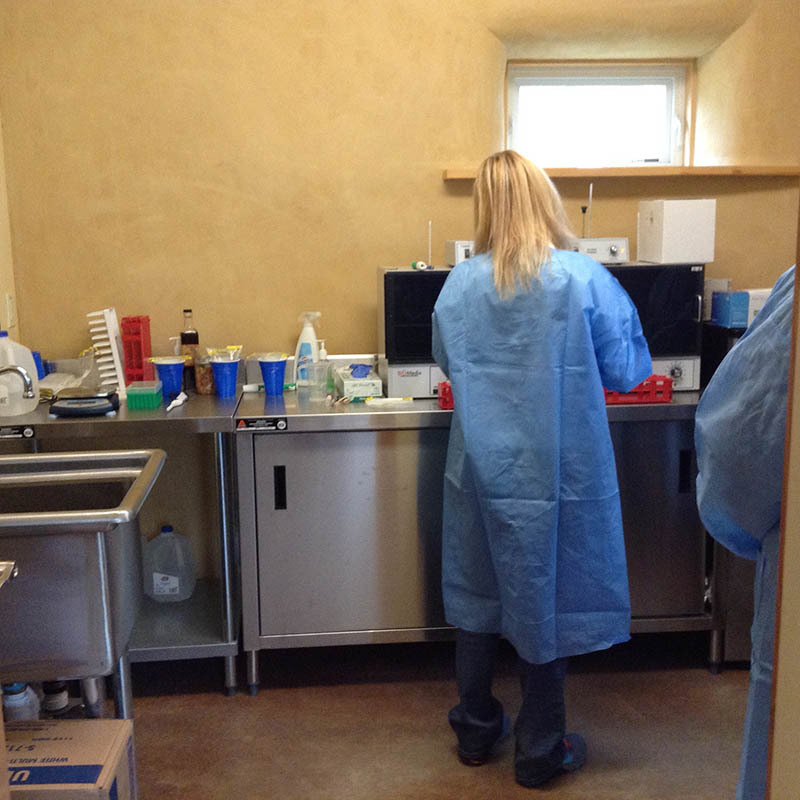 This laboratory can be used by a farmer or by a food processor in Lopez Island after completing 3 to 4 days of training. 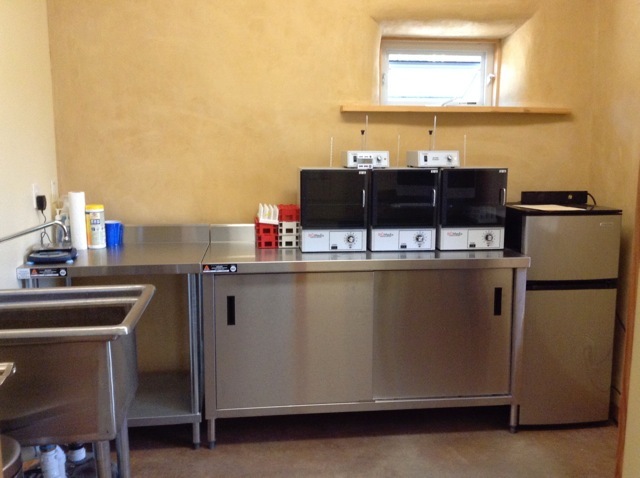 With this unique approach, the community food analysis laboratory effectively surmounts the three significant hurdles that face a rural farming community and food safety testing: 1) the upfront cost of equipment and hardware needed to run the system; 2) the running cost of maintaining an inventory of unexpired testing materials, despite the lower frequency of testing by a small producer compared to a large food company; 3) easy access to a local food analysis laboratory, rather than the cost of shipping samples out. Today, a trained farmer or food processor on Lopez can make an appointment to exclusively use the community food analysis laboratory during the entire duration of testing, thus assuring the integrity of samples. The cost to be paid only involves the cost of the testing materials used and a nominal maintenance fee for using the facilities and equipment. The testing systems in-place are validated methods currently being used in USDA and FDA inspected facilities. Testing results are confidentially recorded through a secure web-based laboratory information management system that has a password-protected access. As an alternative, farmers can pay a lab specialist to perform the test for them for a modest fee. This FoodMetrics lab has given the farming and food processing community of Lopez Island an economically viable way to establish an on-going food safety verification system for their products per the current regulatory environment. For more info, call 360.468.3723.